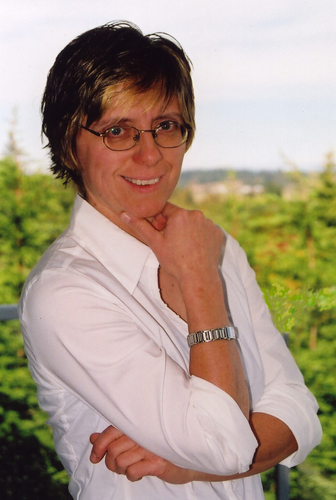 Nikki Tate is a writer and storyteller living on Vancouver Island in British Columbia with her daughter and several furred and feathered friends. She is the author of the Tarragon Island novels (about a young writer living on a fictitious Gulf Island), the StableMates series of horse novels, and Cave of Departure, the first book in the Estorian Chronicles, a fantasy series about a tribe of nomadic storytellers. Her newest books are: a short historical novel about the Pony Express and set in Nevada (Orca Books, Spring 2002) and the 7th book in the StableMates series, Keeping Secrets at Dark Creek. She is currently working on new titles in each of her existing three series. Tate also works as a freelance writer, writing on subjects from tattoos to compost. Her articles, reviews, and opinion pieces have appeared in publications in Canada, Japan and the USA. She is much in demand as a workshop leader, public speaker, and professional storyteller. 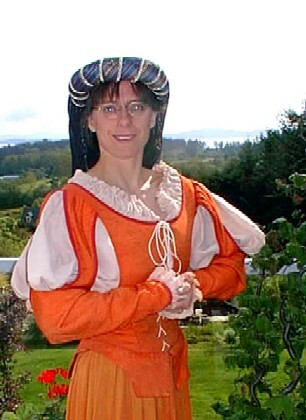 Her high-energy storytelling performances of the Arthurian legends mesmerize audiences from ages twelve through adult. When she's not writing or performing, Tate enjoys pottering in her garden or horseback riding through the picturesque countryside of the Saanich Peninsula. Â· many anecdotes and stories about the writing life. Though the presentation is interactive throughout, there is also a question and answer period at the end. Each presentation also includes a brief reading (selections vary depending on group size and age). The presentation runs from 60-90 minutes and concludes with a draw for door prizes. Typically, the better prepared the students, the longer the question and answer period will last. When time permits, Nikki is happy to stay after a presentation for autographs. Please note that on a tour it is not always possible to stay long enough to sign every bookmark! (children who bring books to sign will, of course, be accommodated). Please check with the author prior to promising children an autograph session. Schools interested in making books available for sale to students should let Nikki know this well in advance. Schools are generally offered a 40% discount on all titles purchased directly from the publisher. This discount may either be passed along to students or used as a fundraiser. Â· large table on which to display notebooks, character cards, books, etc. Please note: Nikki prefers to have children sitting on the floor rather than on chairs or benches. 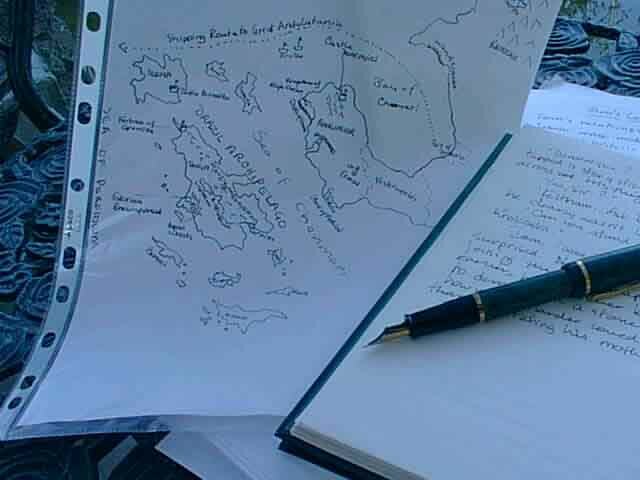 Â· Work in Progress â�� an online journal tracking Nikki's progress on her current projects, travels, etc. These novels are set on Vancouver Island and are ideal for children aged 8-12. Though all contain a horsey adventure, each also includes sub-plots not directly related to the riding world. For example, Return to Skoki Lake deals extensively with a child diagnosed with a chronic illness (diabetes) and is based loosely on the author's experiences with her daughter, Danielle, an insulin-dependent diabetic since the age of six. The Tarragon Island novels are set on a fictitious Gulf Island and follow twelve year-old Heather Blake's trials and tribulations as she struggles to adapt to island life. Heather is a book-lover who loves to write and both of these novels include information about the writing process (as experienced by the young protagonist). These novels are suitable for ages ten and up. The first of The Estorian Chronicles fantasy trilogy is suitable for 10-14 year-olds. After failing a deathly serious initiation challenge, twelve year-old Dominique sets out on a dangerous quest on the Isle of Tanga. This short historical novel is part of Orca Book Publishers' Young Readers series. Set in Utah Territory in the early 1860's, this is an adventure story set against the backdrop of the Paiute Indian wars and the Pony Express. Prior to the author's visit, it is very helpful if children can think of questions they would like to ask. As many of the author's personal experiences provide the inspiration for her novels, teachers may wish to discuss the way fiction and reality intersect in the novel form. This idea is also explored during the presentation. Nikki Tate's dramatic storytelling performances have enthralled audiences of all ages in the United States and Canada. Let Mary Elizabeth May Cotter, chambermaid to King Arthur's Court, regale you with her version of the goings-on at Camelot. Each Arthurian presentation lasts approximately 1 hr 15 minutes and includes a dramatic retelling of one of the Arthurian legends, a discussion of the universal elements of stories (theme, plot, character, setting), a discussion of the storyteller's art (finding and memorizing stories, physical and voice preparation), and a brief question and answer session. Suitable for Grades 7 - Adult. To celebrate the launch of Jo's Triumph, Nikki Tate will be riding along sections of the Pony Express trail in Nevada in September, 2002. 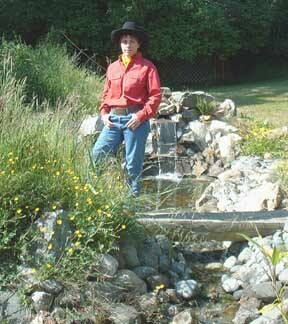 Check the Wild West Section of Nikki's website (www.stablemates.net) for the latest schedule updates and to track her progress as she delivers mail to school children in Nevada. If you'd like to become a trip sponsor by purchasing copies of Jo's Triumph for school children in B.C. and Nevada, visit Nikki's website for details. Each year Nikki Tate visits thousands of school children to share her love of reading and writing. 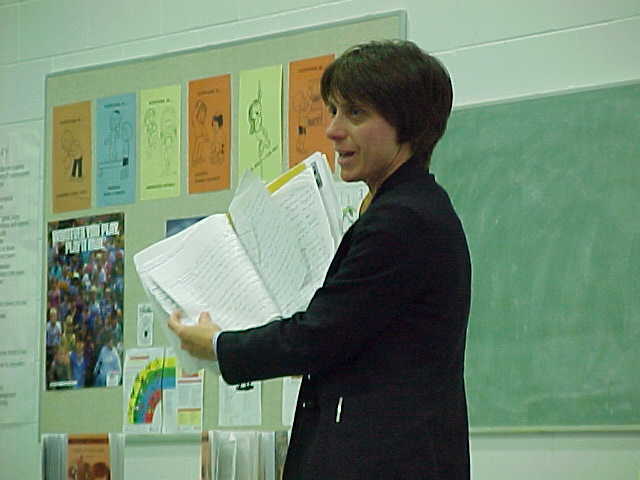 School programs include author presentations, storytelling performances, workshops for young writers, and professional development workshops for teachers.